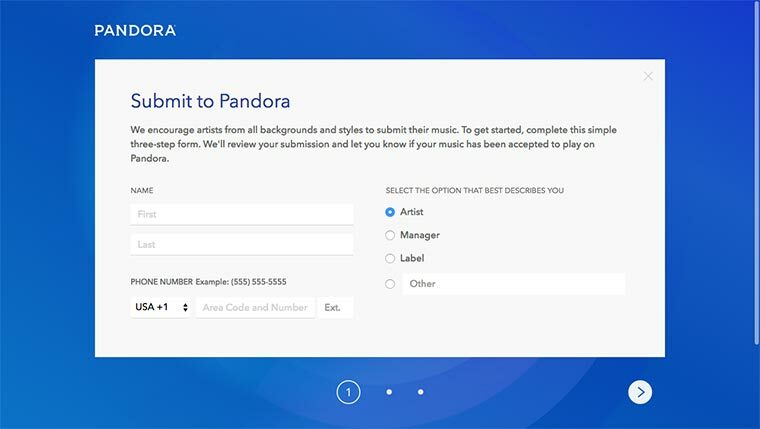 Pandora is one of the biggest music streaming platforms out (and also one of the first). They’re not in the media as much as Apple Music or Tidal, but they’re just as important. As of July, 21, 2016 – Pandora has over 78 million active listeners on their platform and despite competitors like Apple Music & Tidal popping up, they’re still growing. 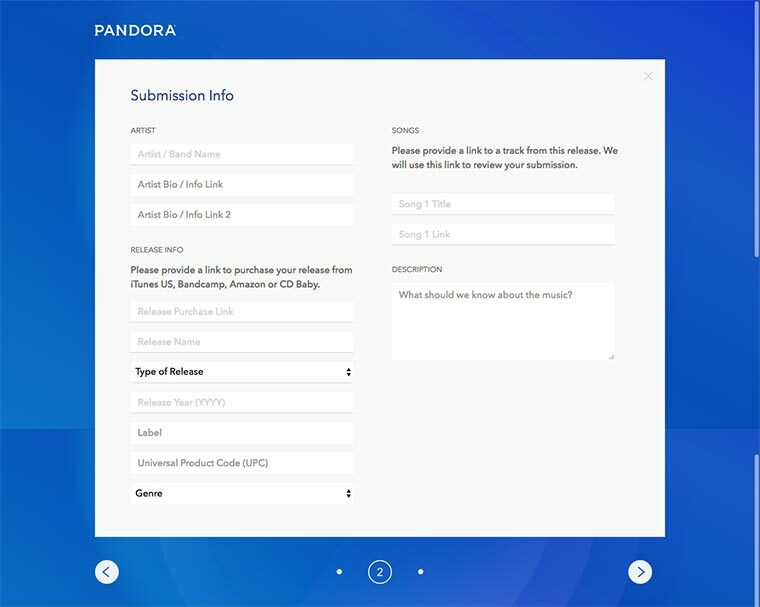 Regardless of what your favorite music streaming platform is, Pandora is not one to forget when promoting your music. Their process takes more work than getting your music on Apple Music or Tidal, but with 78 million active listeners – it’s worth it. Completing the music submission form will take a few minutes and is the most time consuming part of this process. There are 3 screens that will ask for different information about you and your music. I’ve listed this information below so that you can be prepared. Once you’ve successfully filled out all of the information in the music submission form, you’ll be asked to verify your account. This verification process is extremely simple and only requires you to re-enter the password to your account. After verifying your account and submit your music, all you can do is wait. Similar to getting your music on other music distribution platforms, if you don’t hear back from them within 1-2 weeks – make sure you follow up with them.